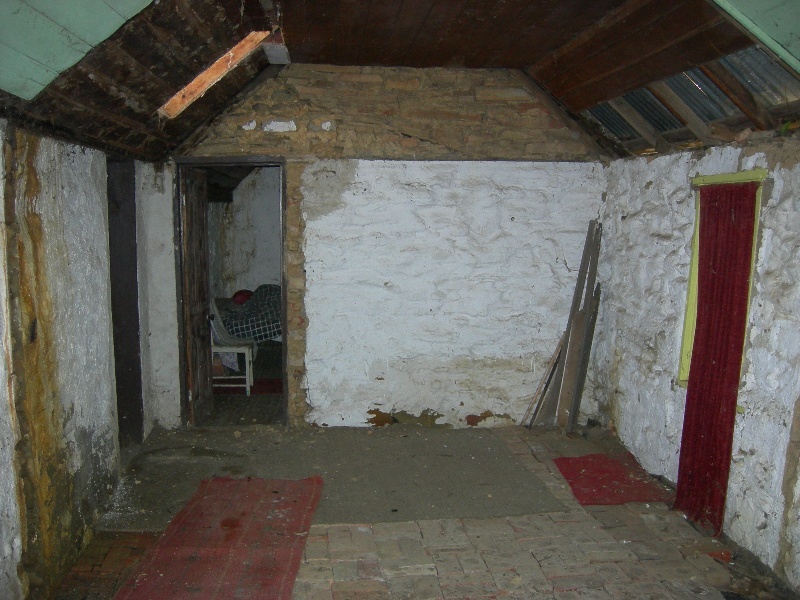 The former Samson residence is a miner's cottage which was built in stages during the second half of the nineteenth century, probably beginning in the mid- to late-1850s. 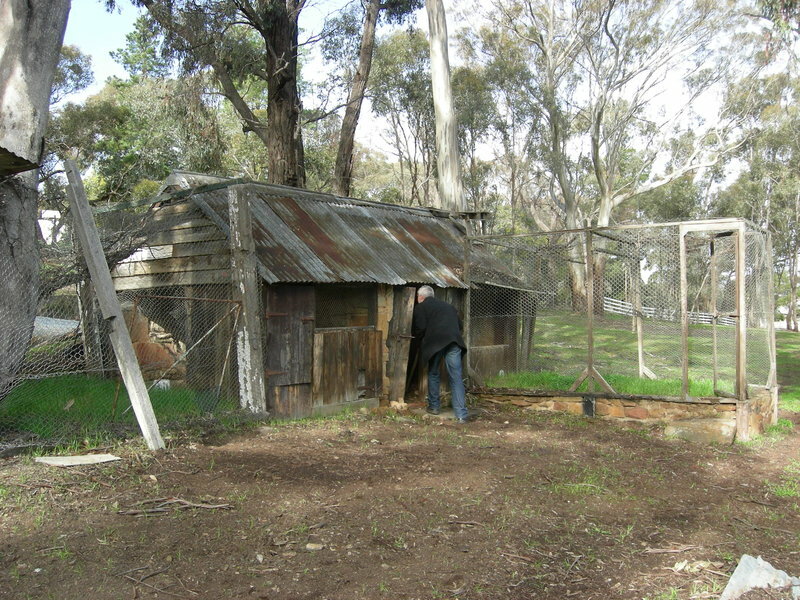 It was built on a Miner's Right taken up in the mid-1850s by Thomas Samson, a shoemaker, below Specimen Hill, on the outskirts of what became the town of Bendigo. A Miner's Right was from the mid-1850s the necessary evidence for the occupation of a mining claim. Later Goldfields Acts gave the miner a number of rights, including the right to occupy a quarter of an acre of Crown land for residential purposes, the right to take timber and stone from Crown Land for building and mining purposes, and the right to build races and dams on Crown Land for mining purposes. The Samson family had ten children, and as their family grew they continually extended the cottage, changing a two-roomed gabled cottage into a sprawling house with many rooms. Samson died in 1893 and his wife Sarah remained in the cottage until 1906. In 1908 it was bought by the Doye family, who lived there until 1966, and still owned it in 2009. It passed from Miner's Right to freehold in 1974. 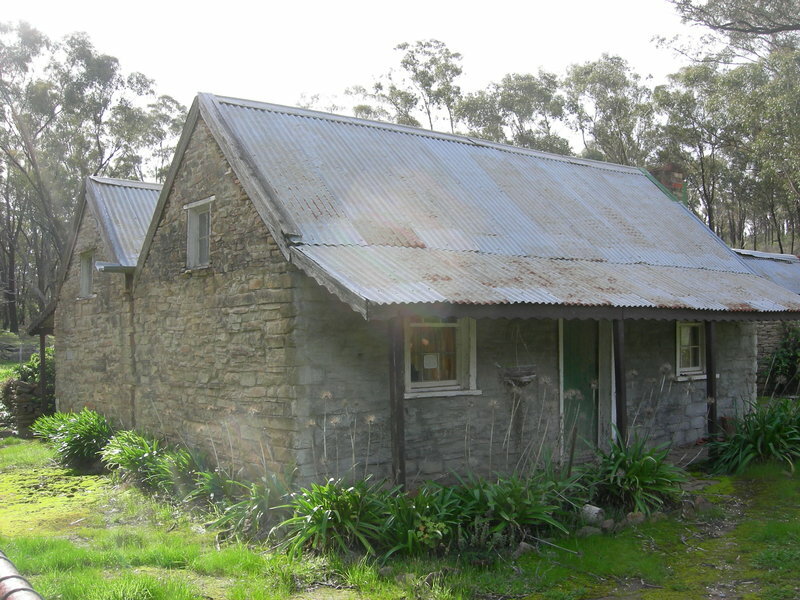 The former Samson residence is a miner's cottage, mainly of sandstone rubble, with a corrugated iron roof set into the hillside on a gently sloping site. The original cottage was a two-room gabled structure (the south-west corner of the present building) with a low stone-paved verandah along the south side. This was over the years extended to the north and east with several additional gabled stone and timber skillion sections linked with a verandah along the north side. The original timber shingles survive under the corrugated iron in parts of the roof. The interiors are very simple, with floors mainly of dirt, walls of painted rough stone and ceilings lined with boards that follow the line of the roofs. At the front of the house is a small garden, and at the rear is a stone retaining wall with gardens above. To the north is a brick-lined underground water tank, to the east is a stone fowl shed and behind this the remnants of a water race. The former Samson Residence is of architectural and historical significance to the state of Victoria. The former Samson residence is architecturally significant as a largely intact example of a typical stone miner's cottage, built in stages from the mid- to late-1850s, which has remained largely unchanged since the late nineteenth century. It is significant as a demonstration of the typical form of such early miners' cottages, which generally began as two-roomed gabled structures and grew as their owners' needs and wealth increased. 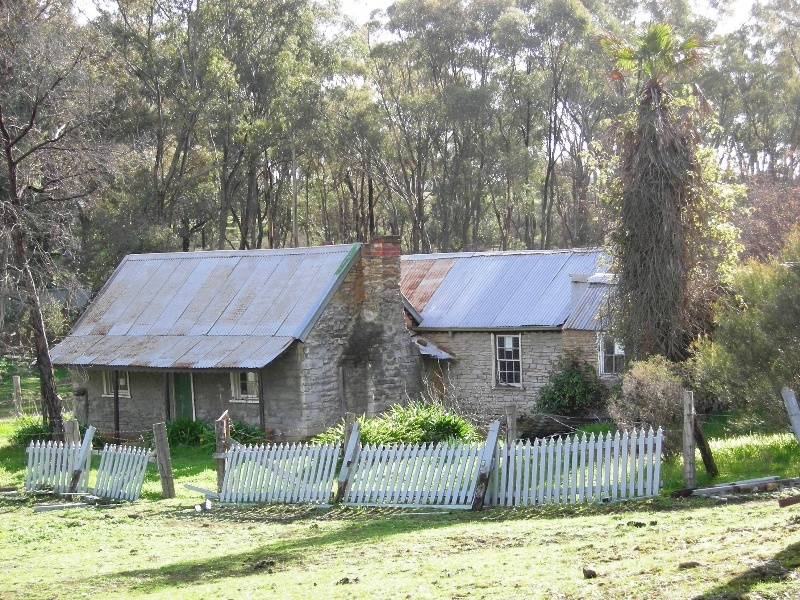 The former Samson residence is historically significant as an unusually intact example in Victoria of a miner's cottage known to have been built under a Miner's Right. It is also unusual in that it still largely retains its original context, partly surrounded by lightly forested Crown Land, with remnants of early mining infrastructure, such as a water race, and is strongly evocative of its mining era origins. It is also historically significant as a demonstration of the simple way of life of miners and other workers in Victoria in the late nineteenth and early twentieth centuries. 1. 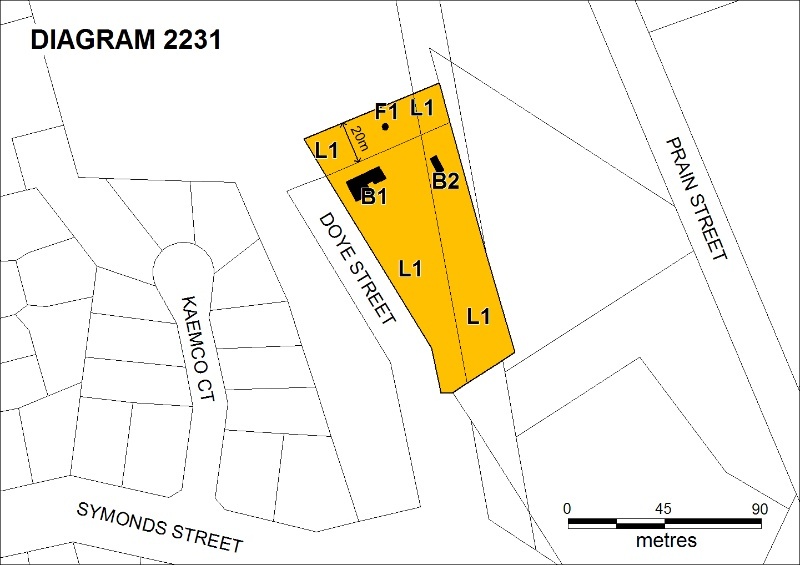 All the land marked L1 on Diagram 2231 held by the Executive Director, being all of the land described in Certificates of Title Volume 9011 Folio 328 and Volume 9310 Folio 259, and part of Crown Allotments 63M and 63J Section L Parish of Sandhurst. 2. All the buildings B1 and B2, and feature marked F1 on Diagram 2231 held by the Executive Director. The Victorian gold rushes began in earnest in mid-1851, and a licence system was introduced shortly after. The licence fee was considered prohibitive by the miners, and with increasingly harsh enforcement of the licence system over the next three years, unrest among the miners increased, and led to the Eureka uprising on 3 December 1854. The report of the resulting Royal Commission in March 1855 recommended the change from Gold License to Miner's Right. On 12 June 1855 the third Goldfields Act was passed, in which the Miner's Right became the necessary evidence for the occupation of a claim. The franchise was effectively given to holders of the Miner's Right, when the new constitution took effect in November 1856, by virtue of the provision for the holder to occupy crown land and reside. This was effective until November 1857, when universal manhood suffrage was introduced. The first Miner's Right was issued in late June 1855, and by the end of July 1855 30,000 Miner's Rights had been issued, and 50,000 had been issued by the end of the year. The fourth Goldfields Act, passed in early 1858, gave increased privileges to holders of Miner's Rights. These included the right to make residential claims, allowing the cutting of timber on claims. Under the Mining Statute of 1865 the Miner's Right could be issued for up to 15 years. One quarter of an acre of crown land could be occupied for residential purposes. Timber of Crown land could be cut for fuel and timber, stone and other material on Crown land could be used for building and mining purposes. The residential claim was vitally important in the development of Victoria's gold-mining towns where a remarkably high proportion of residents were owner occupiers. Miners' rights allowed two-thirds of miners to own their own homes. These were small cottages of no more than four rooms and worth less than £100, but they usually had a garden big enough for hens and vegetables (Dingle, Settling, p 96). In the 1930s Depression, Miner's Rights were given out to the unemployed, along with supplies and a prospector's guide. In the 1960s most miners' residential areas were converted to freehold. The classes of lands upon which prospecting under a Miner's Right were permitted were gradually restricted and in 1975 holders of the Miner's Right were required to obtain consent before they could obtain the legal right to mine a deposit. 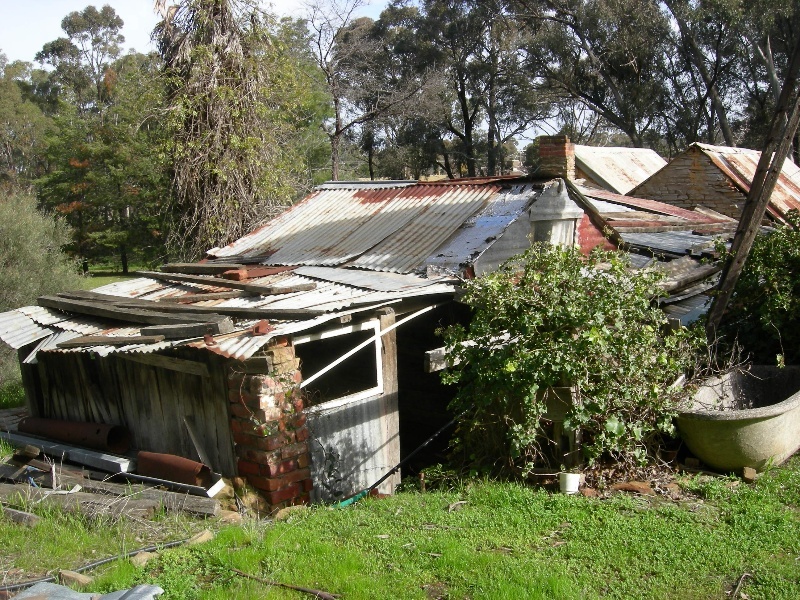 In Ballarat as at 1978 some houses were still held with the tenure associated with a miner's right (Bate, Weston (1978). Lucky City: The First Generation at Ballarat: 1851 - 1901. Carlton, Victoria, Australia: Melbourne University Press. p.91). 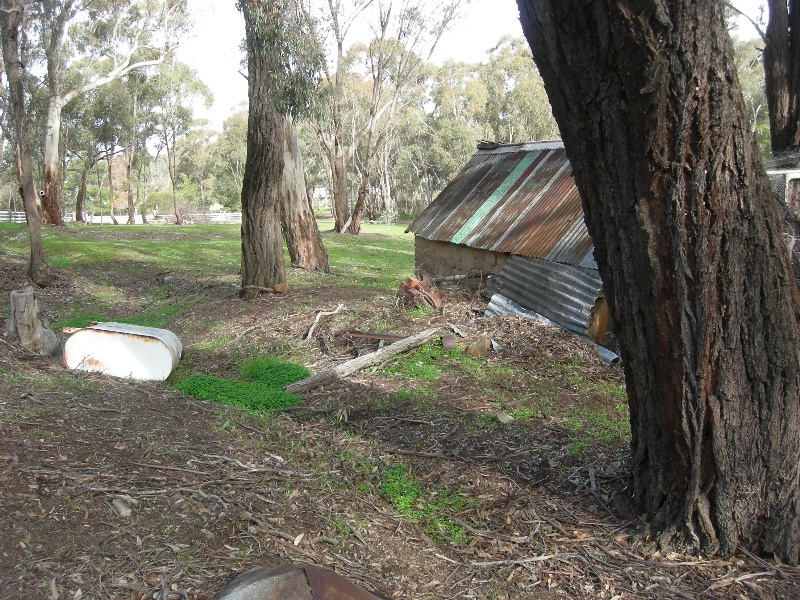 The first, two-roomed, stage of the present cottage appears to have been commenced before 1866, when the first rate notice appeared (Shire of Marong) and possibly as early as the mid-1850s, when the first owner, Thomas Samson, a shoemaker turned joiner, came to the Bendigo goldfields. Samson took up a miner's right in Spec(k) Gully in the mid-1850s. The Samson family had ten children and as the family grew they extended the cottage in stages. Samson worked as a miner until about 1871, then returned to boot making from a weatherboard shed on the property. He opened a shop on the corner of Booth and McKenzie Streets in partnership with John Shocker in 1889. He died in 1893. His wife Sarah remained in the cottage until 1906. Albert and Florence Doye purchased the site in 1908 and the family lived there until 1966. The property has remained in the hands of the family, mostly unoccupied. It was renovated by a tenant in the 1970s and passed from miner's right to freehold in 1974. It is currently owned by Arthur Doye, who lives nearby, and is unoccupied. During its early life it, probably during the Samson occupation, it was altered and extended many times into a complex arrangement of structures and outbuildings. Stone remained the dominant building material throughout, even for the poultry sheds. 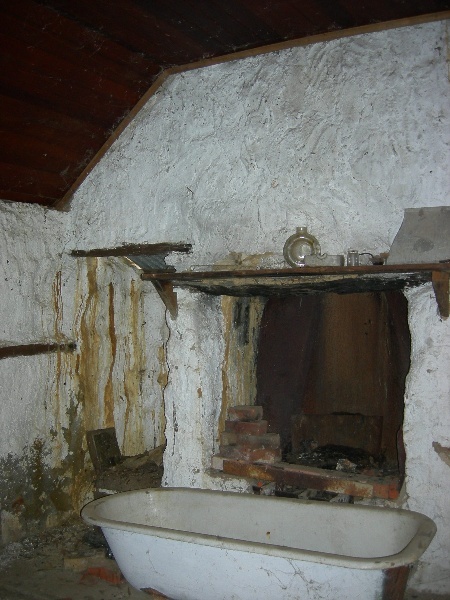 The former Samson residence is a rare example of a miner's cottage known to have been built under a Miner's Right. It is unusual in that it still retains its original context, largely surrounded by lightly forested Crown Land with nearby remnants of early mining infrastructure, such as a water race, and its location is strongly evocative of its mining era origins. It is a demonstration of the simple way of life of miners and other workers in Victoria in the late nineteenth and early twentieth centuries. 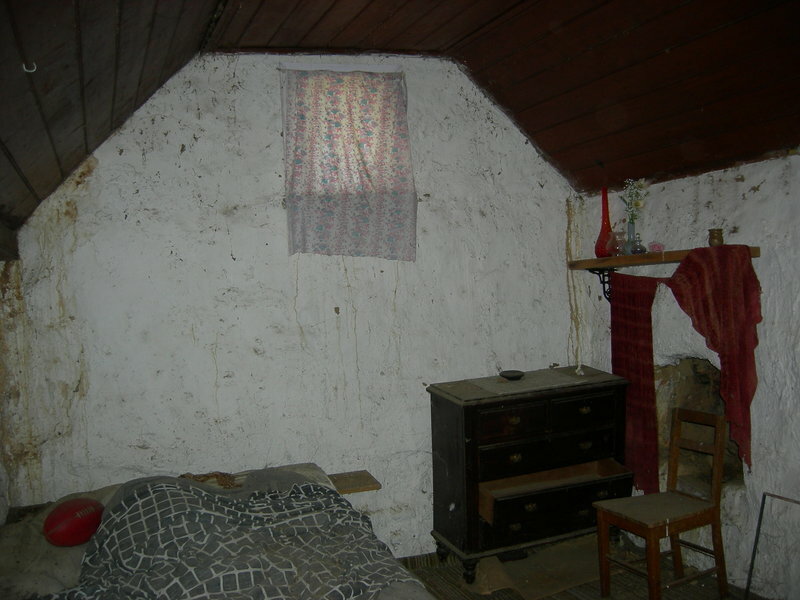 The former Samson residence, built in stages from the mid- to late-1850s, is a largely intact example of a typical stone miner's cottage, which has remained largely unchanged since the late nineteenth century. It demonstrates the typical form of such early miners' cottages, which generally began as two-roomed gabled structures and grew as their owners' needs and wealth increased. 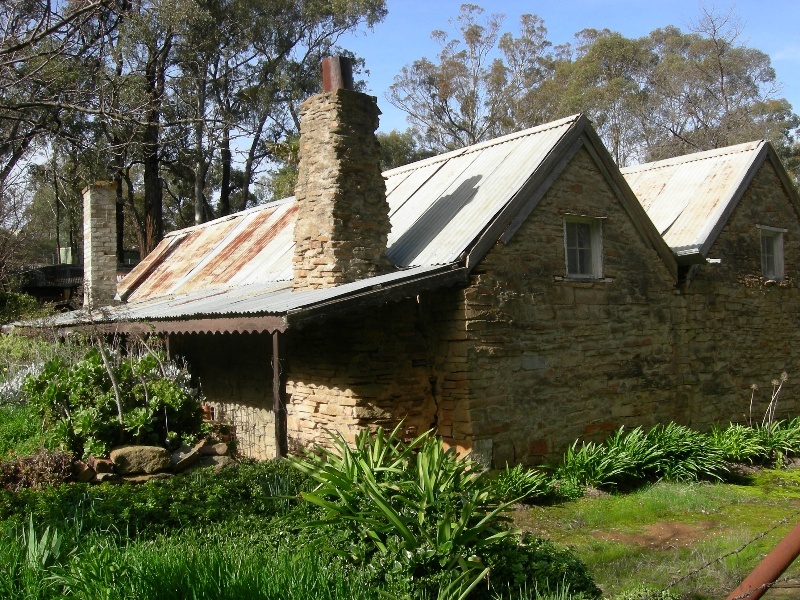 This unusually intact miner's cottage was built in stages, using stone quarried on the site, by the shoemaker Thomas Samson, on land held by Miner's Right, which was granted to him in the mid-1850s. General Conditions: 1. All exempted alterations are to be planned and carried out in a manner which prevents damage to the fabric of the registered place or object. General Conditions: 2. Should it become apparent during further inspection or the carrying out of works that original or previously hidden or inaccessible details of the place or object are revealed which relate to the significance of the place or object, then the exemption covering such works shall cease and Heritage Victoria shall be notified as soon as possible. General Conditions: 3. If there is a conservation policy and plan endorsed by the Executive Director, all works shall be in accordance with it. Note: The existence of a Conservation Management Plan or a Heritage Action Plan endorsed by the Executive Director, Heritage Victoria provides guidance for the management of the heritage values associated with the site. It may not be necessary to obtain a heritage permit for certain works specified in the management plan. General Conditions: 4. Nothing in this determination prevents the Executive Director from amending or rescinding all or any of the permit exemptions. General Conditions: 5. Nothing in this determination exempts owners or their agents from the responsibility to seek relevant planning or building permits from the responsible authorities where applicable. Minor Works : Note: Any Minor Works that in the opinion of the Executive Director will not adversely affect the heritage significance of the place may be exempt from the permit requirements of the Heritage Act. A person proposing to undertake minor works may submit a proposal to the Executive Director. If the Executive Director is satisfied that the proposed works will not adversely affect the heritage values of the site, the applicant may be exempted from the requirement to obtain a heritage permit. If an applicant is uncertain whether a heritage permit is required, it is recommended that the permits co-ordinator be contacted. The purpose of the Permit Policy is to assist when considering or making decisions regarding works to the place. It is recommended that any proposed works be discussed with an officer of Heritage Victoria prior to a permit application. Discussing any proposed works will assist in answering any questions the owner may have and aid any decisions regarding works to the place. It is recommended that a Conservation Management Plan is undertaken to assist with the future management of the cultural significance of the place. The significance of the place lies in its rarity and intactness as a miner's residence which was built in stages during the second half of the nineteenth century and has been little changed since then. All of the registered buildings and features are integral to the significance of the place and any external or internal alterations that impact on their significance are subject to permit application.